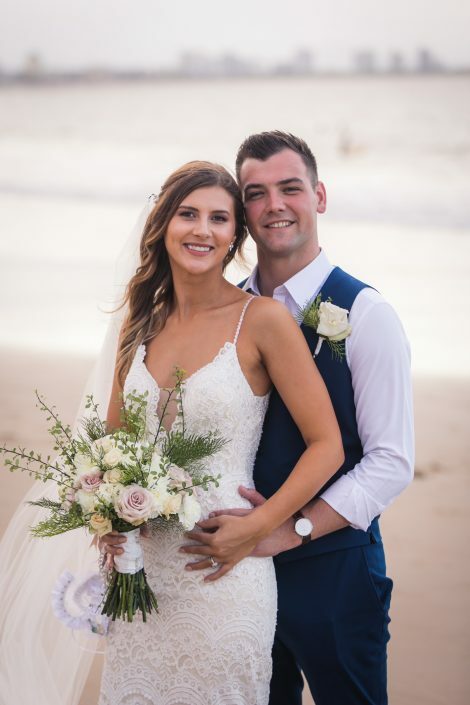 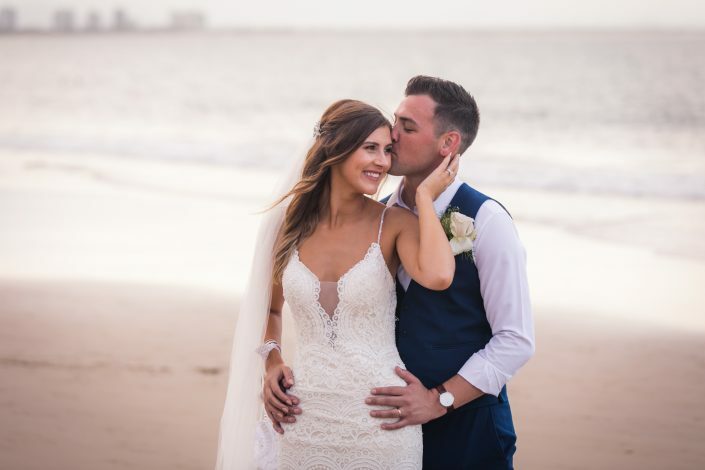 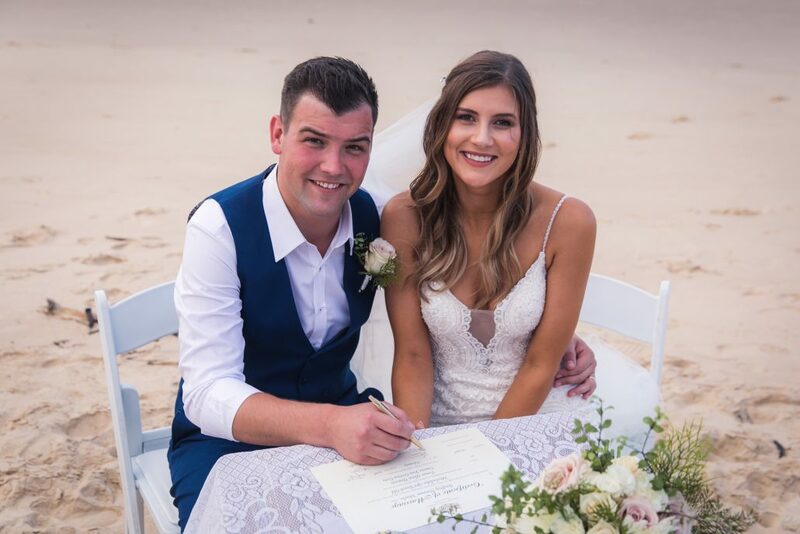 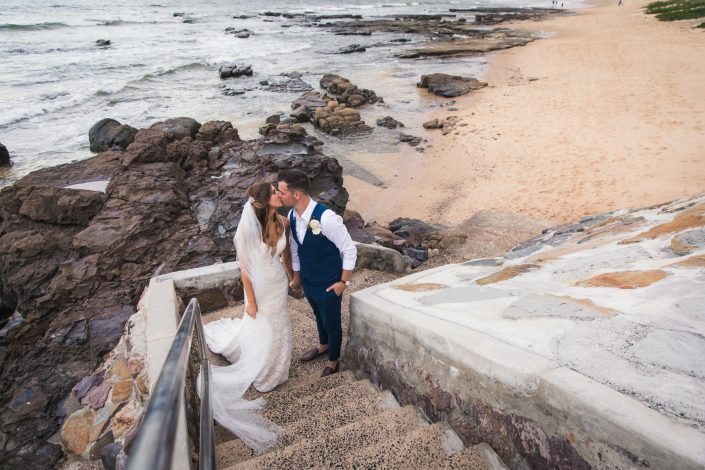 Tawnee and Tomas are actually from Melbourne, but decided to have a destination wedding at the beautiful Sunshine Coast. 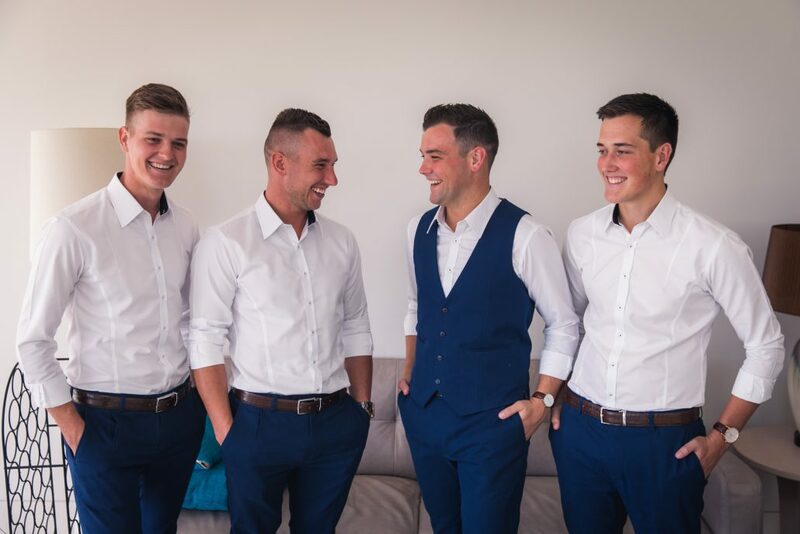 They are actually very familiar with the area as it is one of their favourite holiday destinations. 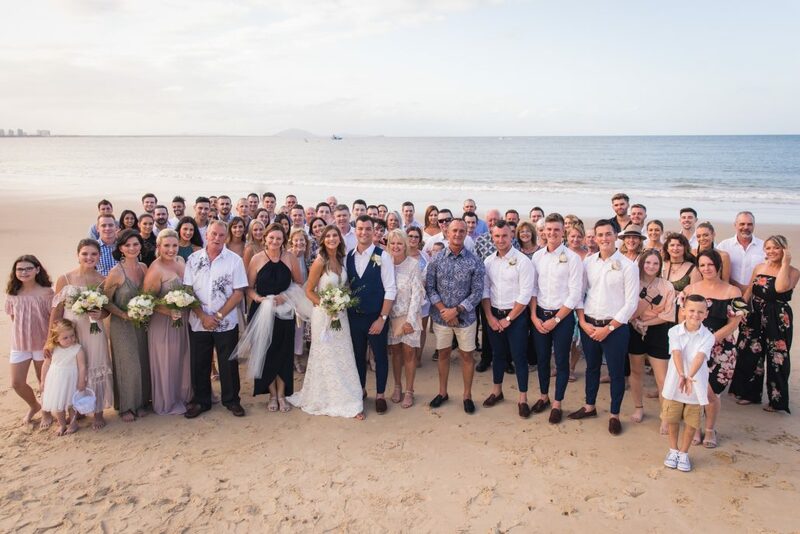 What made it extra special, is that they had around 70 of their closest family and friends attend the wedding, most of which are also from Melbourne. 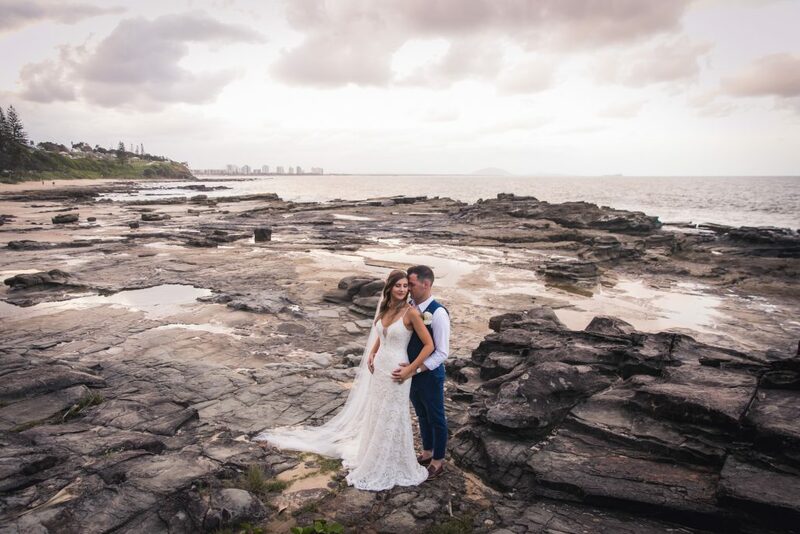 This was actually my first time to the Sunshine Coast, so I was pretty excited to explore a new location for wedding photos. Tawnee and Tomas both got ready at Oceans at Mooloolaba Beach. 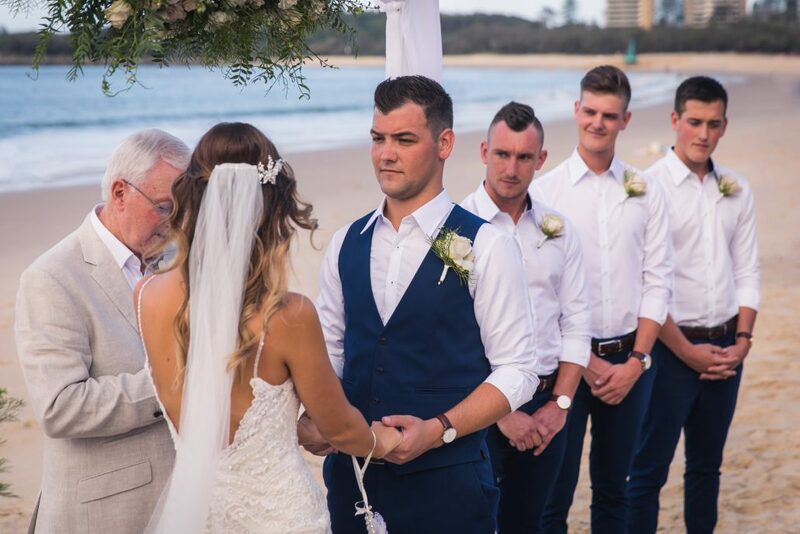 Only minutes away from Mooloolaba Beach, Oceans provided beautiful 5-star rooms with top service. 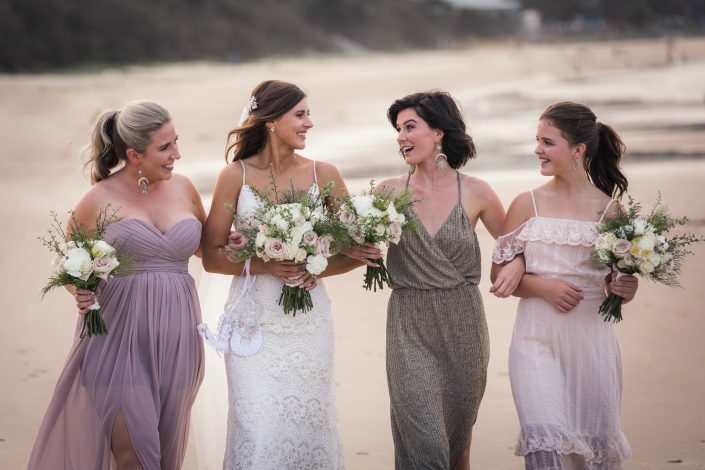 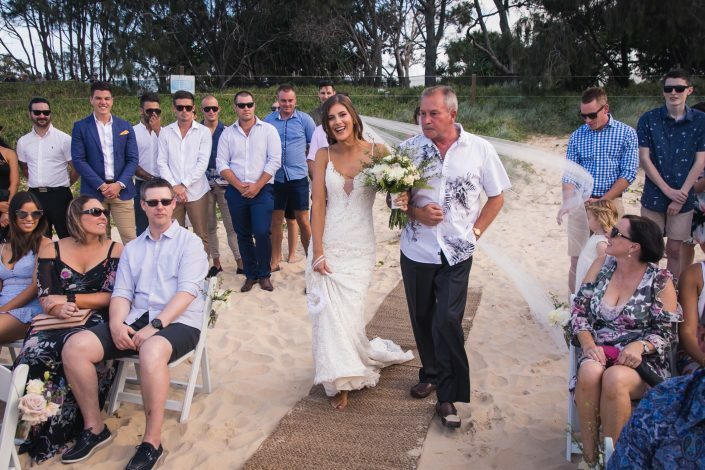 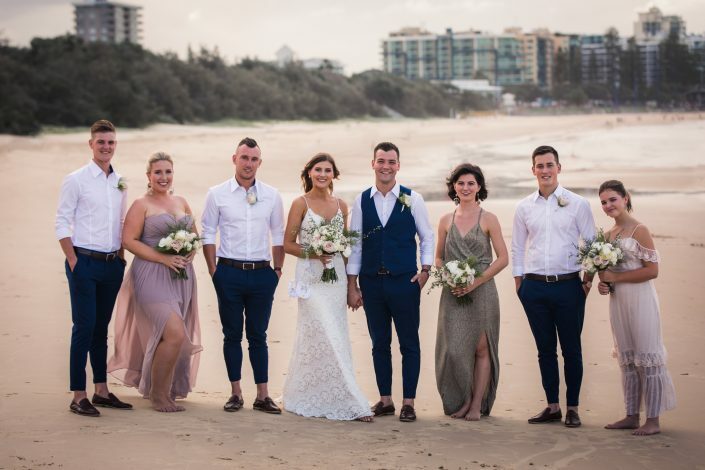 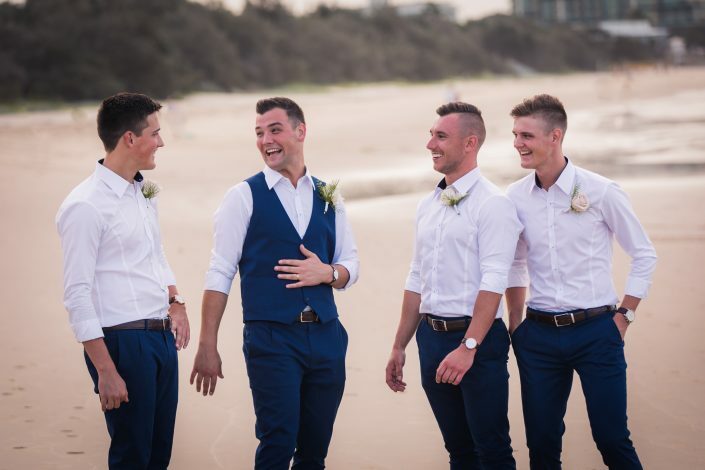 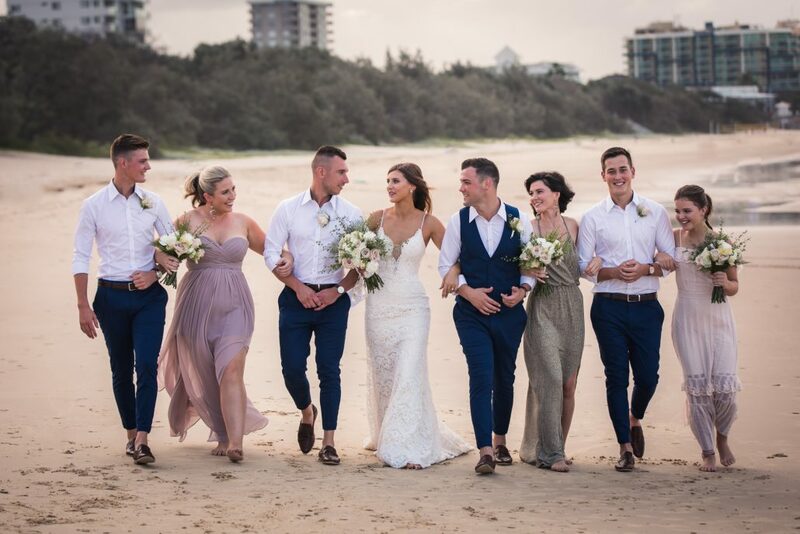 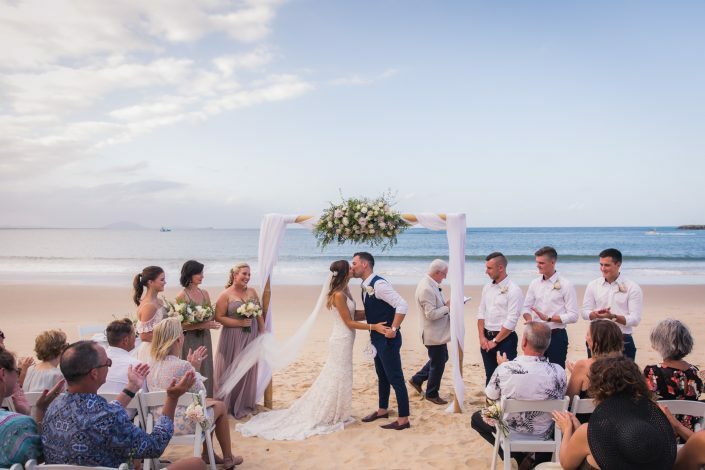 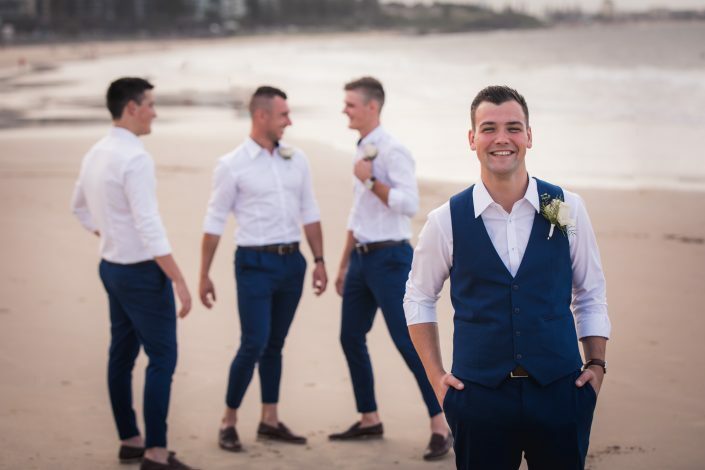 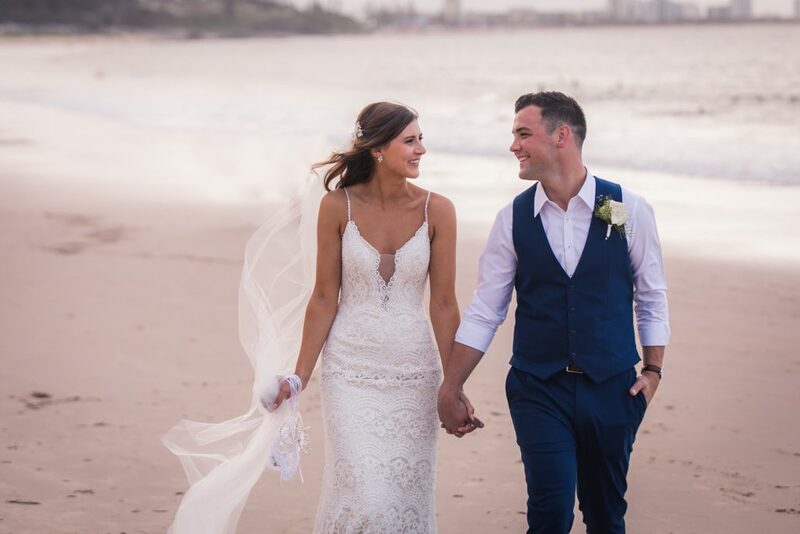 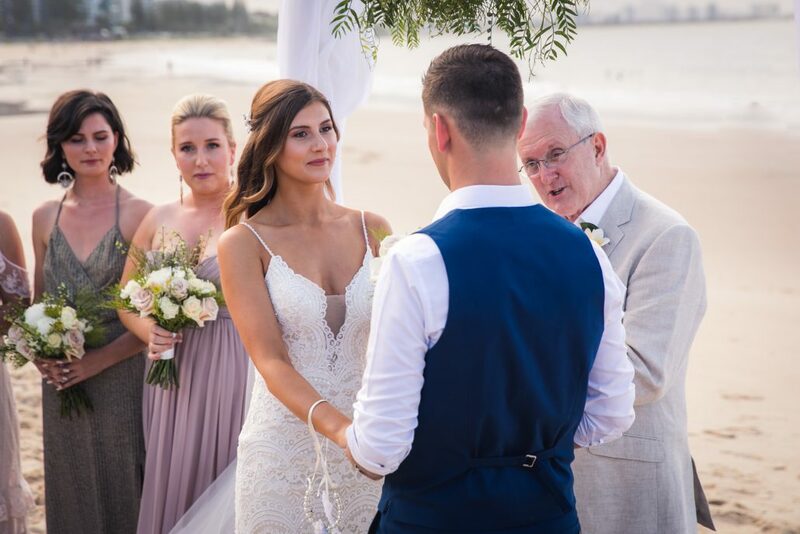 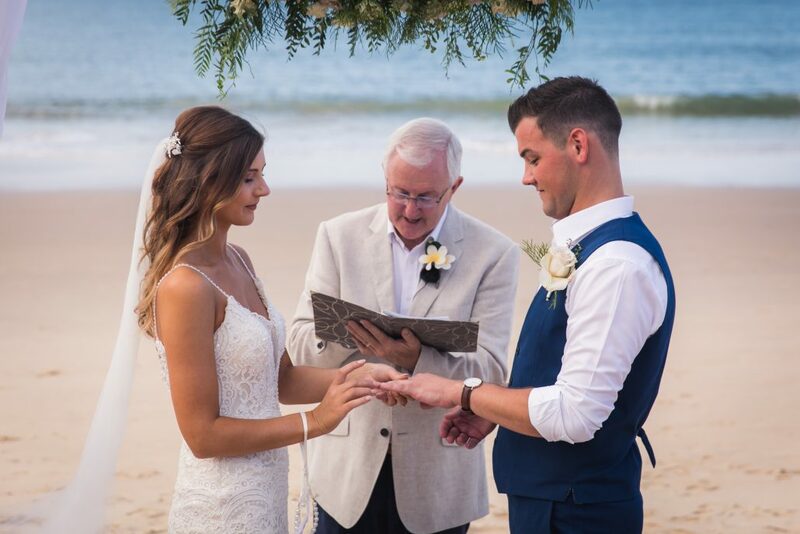 Their ceremony was held at Mooloolaba Beach, however it was a short drive from the town centre at quiet location. Luckily, some cloud cover come over just in time for Tawnee to walk down the aisle. The weather was perfect, and the beach provided the perfect backdrop for their wedding photos. 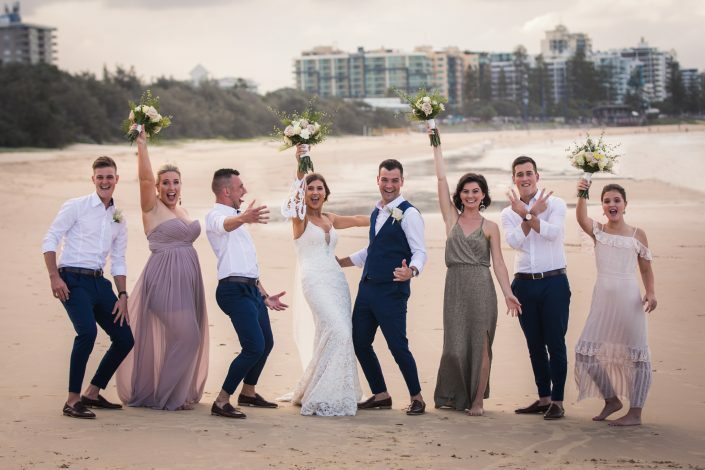 We were a little bit short on time, having around 45 minutes for bridal party photographs and bride and groom portraits, so I had to work pretty quick. Tawnee and Tom were naturals in front of the camera and I am stoked with the way their portraits turned out. 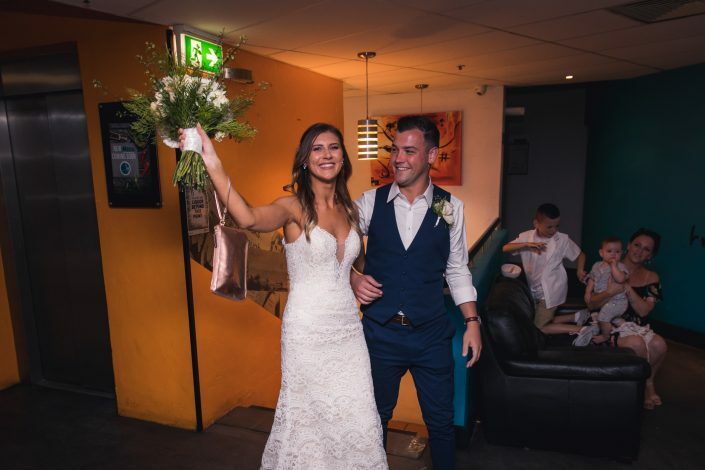 They had their reception at One Up Bar and Bistro. 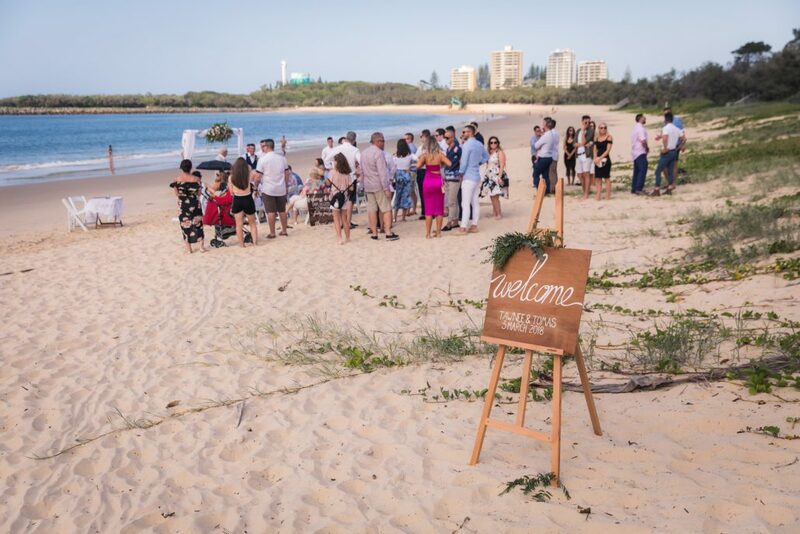 A nice little spot, overlooking the beach at sunset. What more could you ask for? Tawnee and Tom decided to get my 8 hour photography coverage and USB package, which was just the right amount of time to get bride and groom preparation photographs, and took me right through to 10pm of the reception. 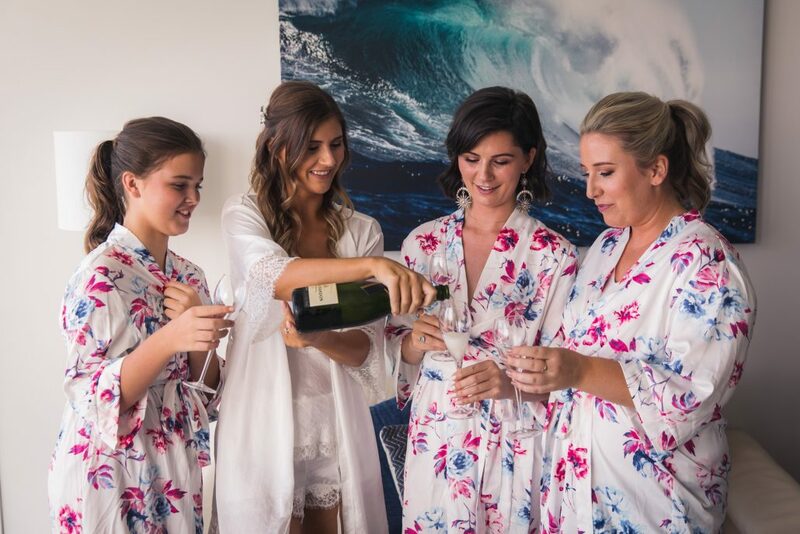 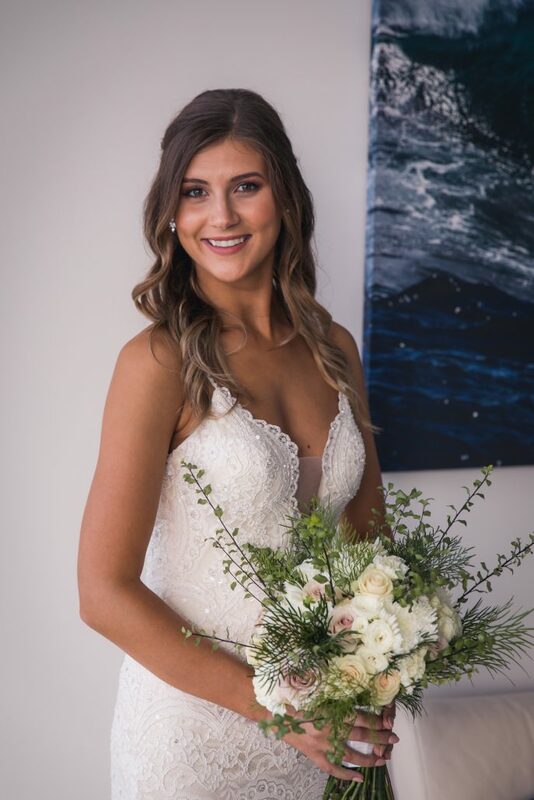 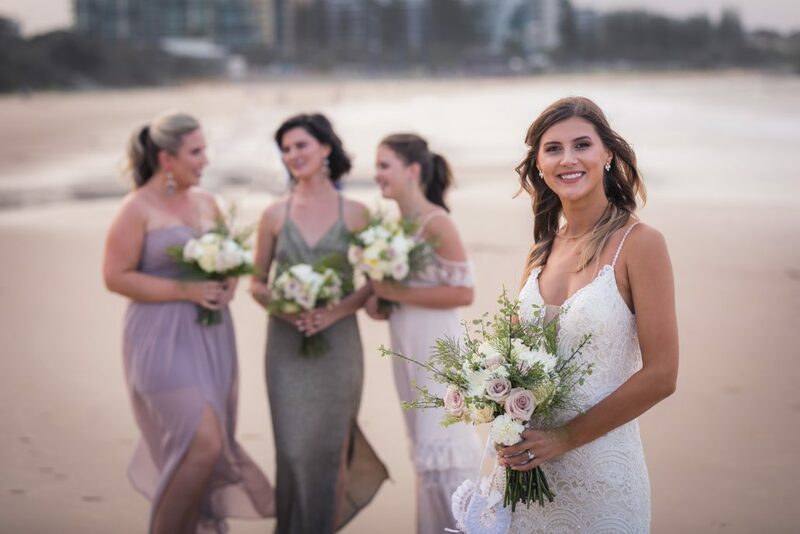 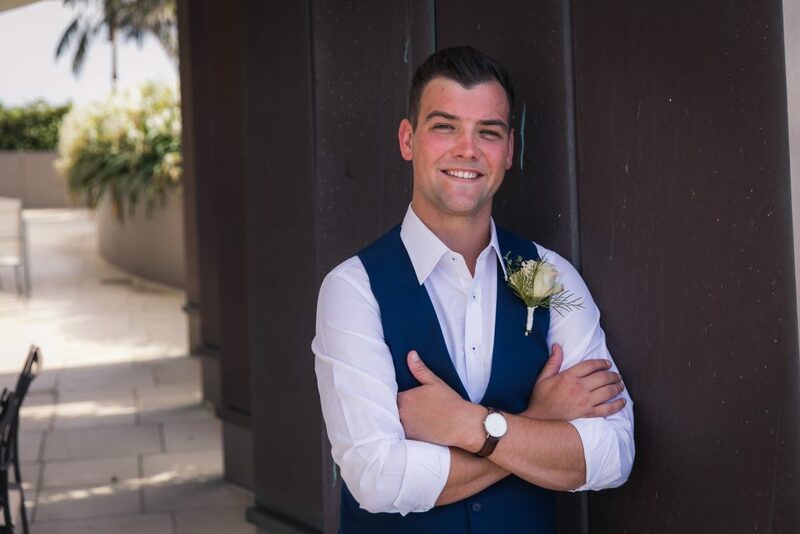 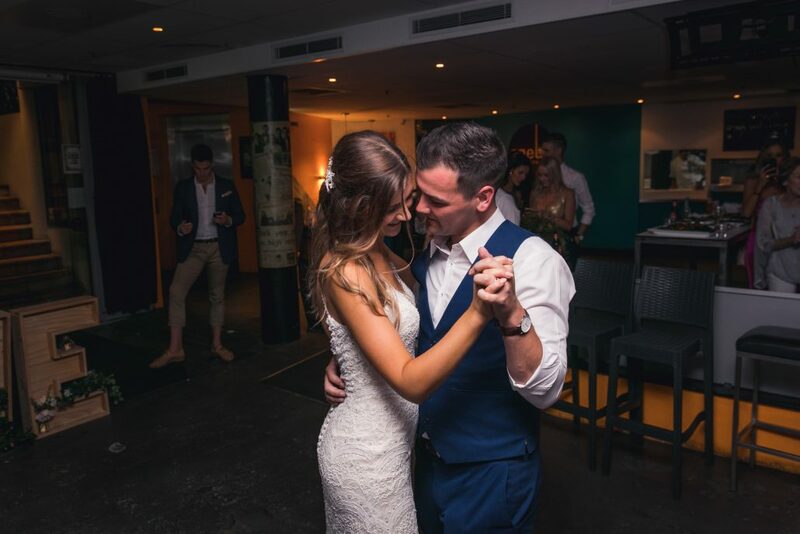 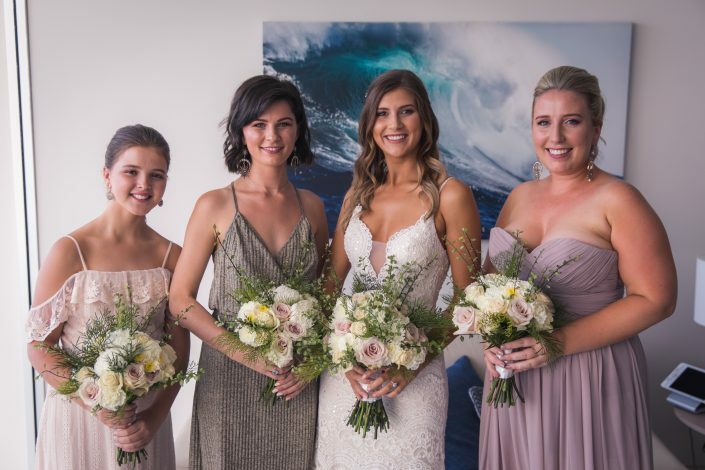 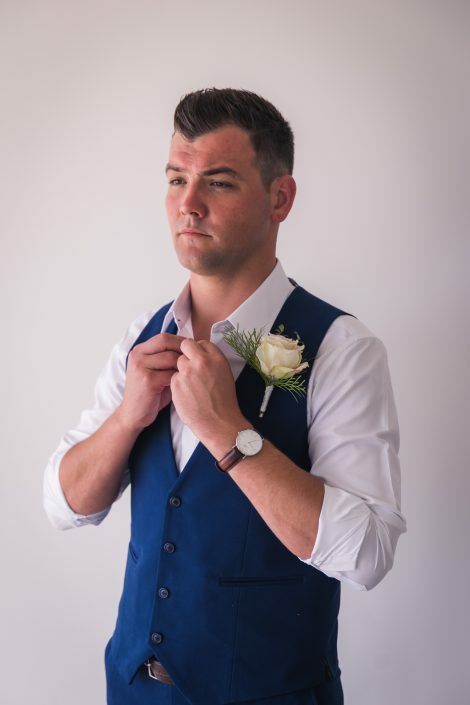 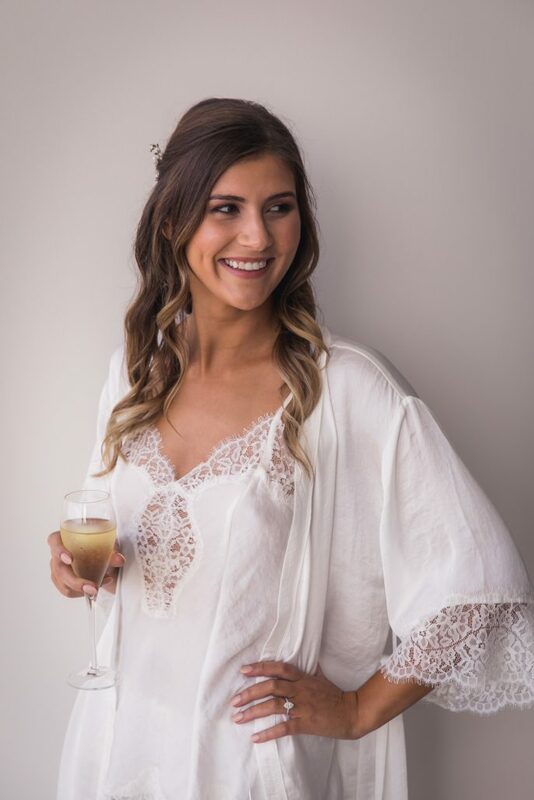 If you are looking for a wedding photographer in the Sunshine Coast, then please feel free to give me a call on 0423 722 286 or email at lucaskrausphotos@gmail.com. 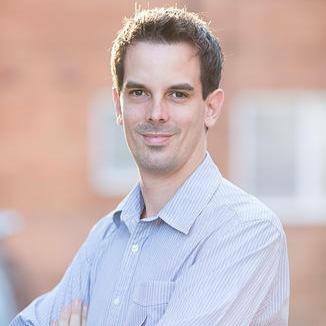 Thank you Lucas for your amazing work on the day – we couldn’t be happier with our stunning photos.